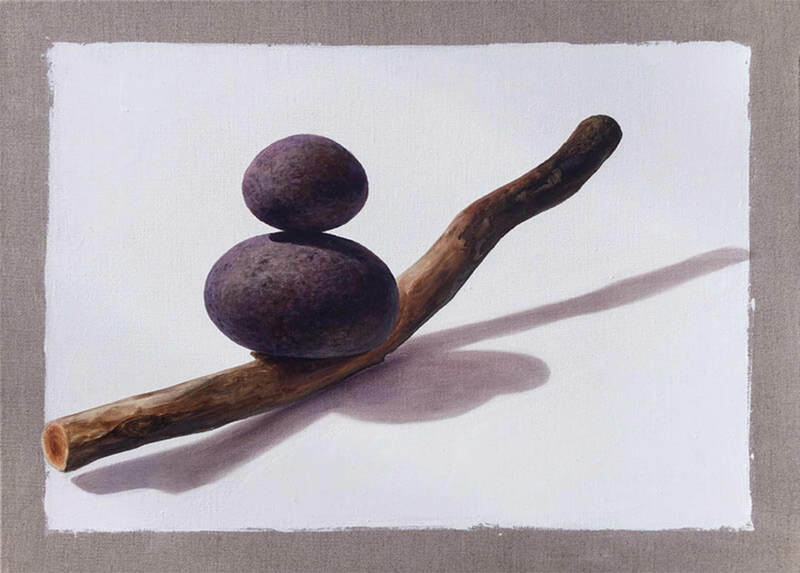 Jane James is a Tasmanian artist also based in Brisbane, her work informed by travels to environments in the Asia Pacific region and while her work is largely representational, there is manipulation of visual language to overlay additional meanings. 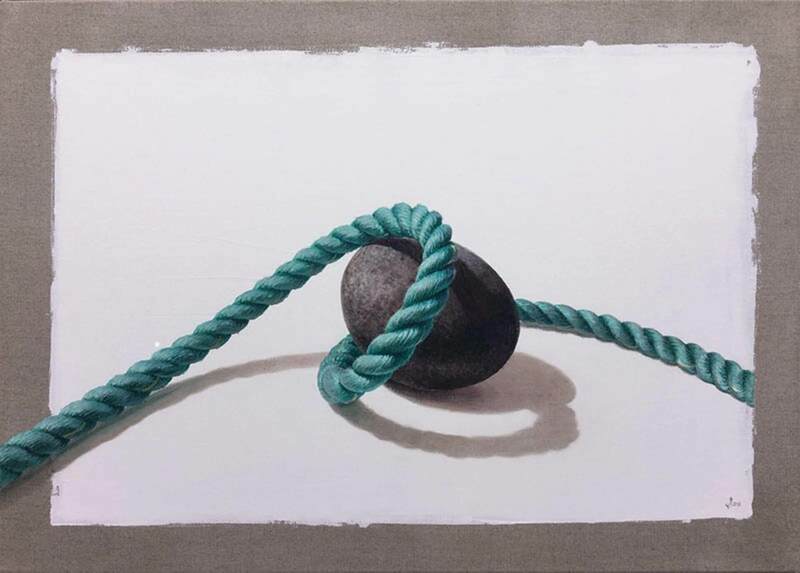 Where Rope has formed a central motif, it is used both as metaphor and visual element, in its many forms, and further to the purposes for which it is designed. 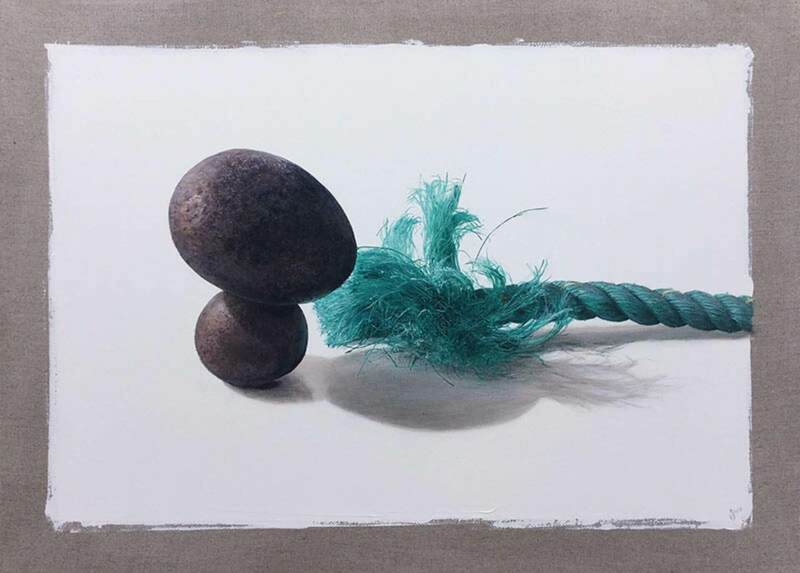 In ‘We Said Yes’ each piece is a visual signal that forms part of a larger whole, the relationship between individual pieces assured by the continuity of rope. 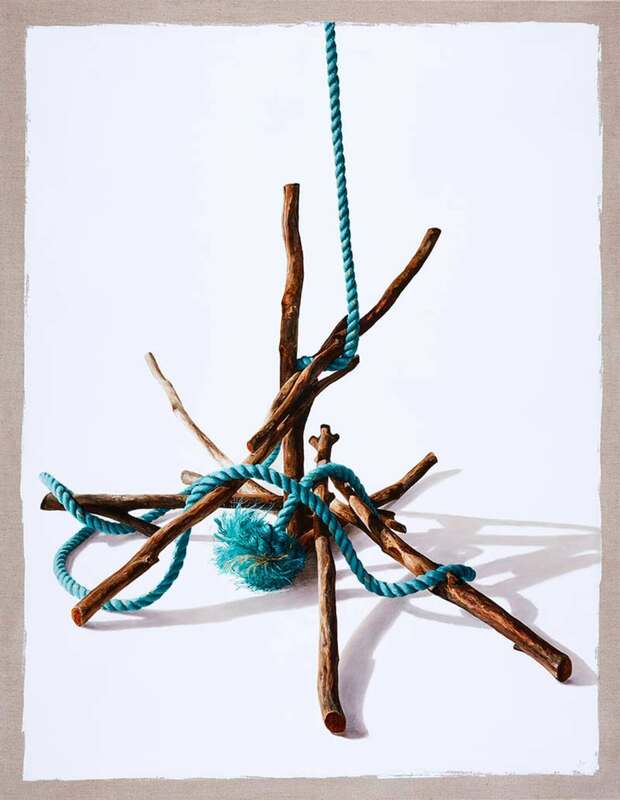 There is also a lighter tone to the language, the ropes and sticks more playfully arranged, pliable and rigid elements entwined but not constrained by knots. Equality would have no meaning without differences. It’s self-evident that two identical entities or objects are the same, it is redundant to assert that they are equal. The concept of equality requires us to recognise differences but also to acknowledge the similarities and shared aims that demand fair and consistent treatment and equal respect. In the end, we did it. Each survey vote an individual signal, collectively creating meaning. Imperfectly, we affirmed that equal consideration, dignity and respect should be available to all of us. We brought equality a little bit closer.